Don't let cost get in the way of important home repairs! Leveled Concrete understands home repairs can often be the last thing in the budget. However, prolonging repairs to save money could, in turn, make repairs cost more. When it comes to concrete raising in Houston, projects may range from a couple hundred, to a couple thousand dollars. To make paying for polyurethane concrete leveling as painless as possible, having some options for payments might make your life easier. 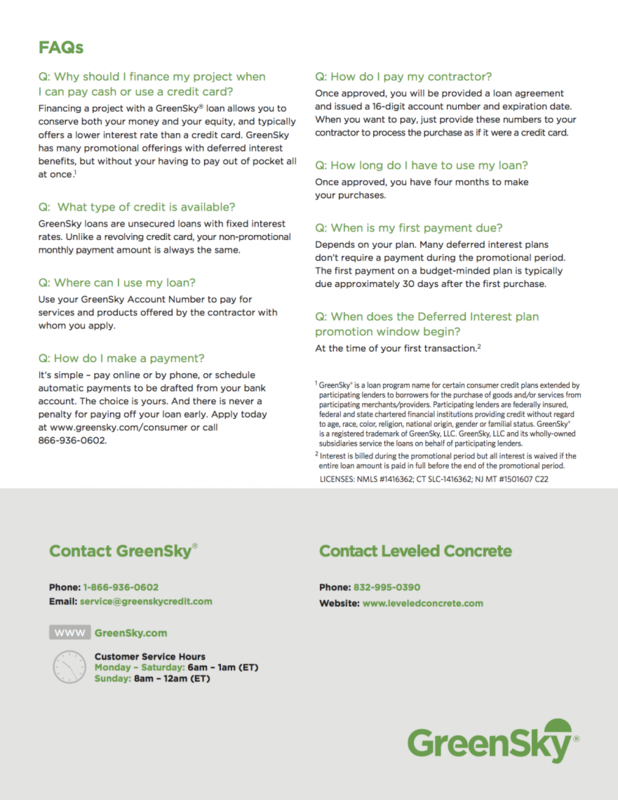 We here at Leveled Concrete have partnered with GreenSky to offer financing for our customers. 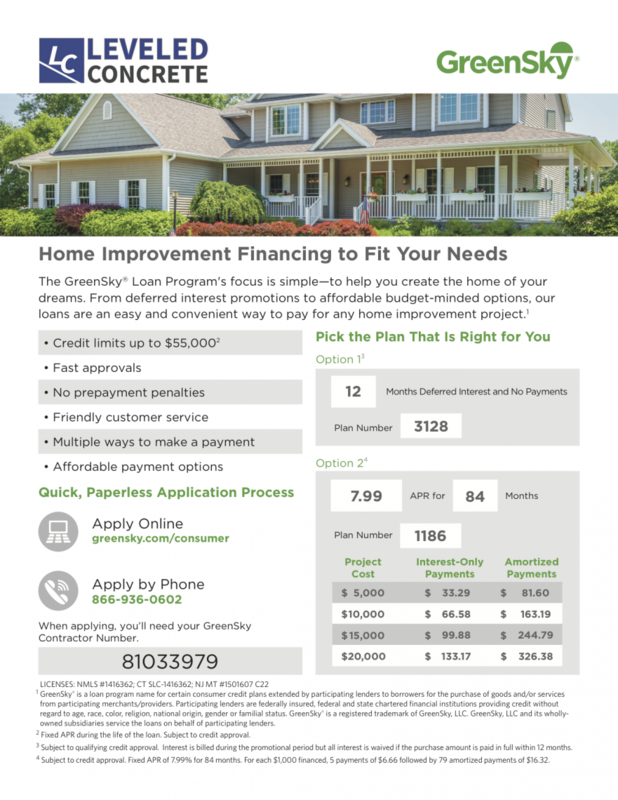 If you think you may be interested in financing, below are some of the options we have and links to the online application.